I have conducted an extensive review of the “Faded-Red Dot” concept on the National Insignia. I thank everyone for your wonderful feedback and detailed information related to this concept. I also asked the same question on several Face Book modeling group pages. These sites also responded in abundance and provided wonderful information. If I was to draw a conclusion from all this it is that the US Navy prior to The Battle of Midway masked, and/or, painted over the red/white stripes on rudder, as well as, the red-dots on the national insignia. There was also a lot of feedback to support the existence of very subtle bleed thru of the red-dot paint resulting in an almost light pink circle in the middle of the star. I believe based on the feedback and photographic evidence that this was not a consistent situation and some aircraft used in that battle had no evidence at all of a red dot bleeding thru. So it comes down to the individual aircraft and practices of specific units from that time period. 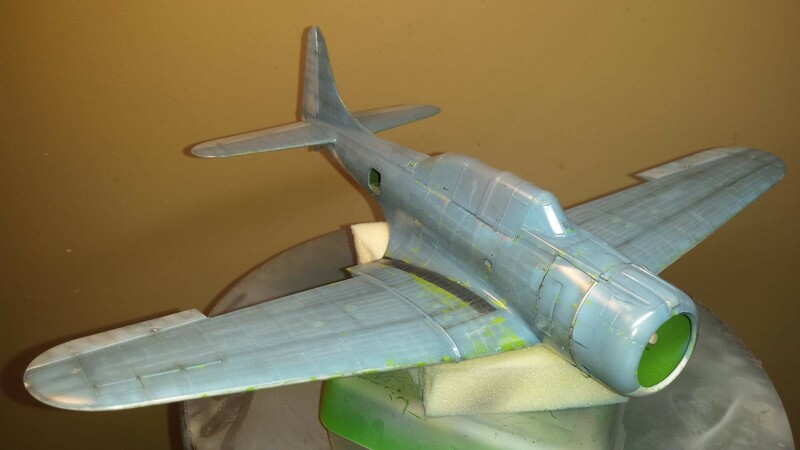 So, Trumpeter got it right regarding their decals having this subtle pink-dot in the middle of the star, but it really depends on what specific airplane you want to model. 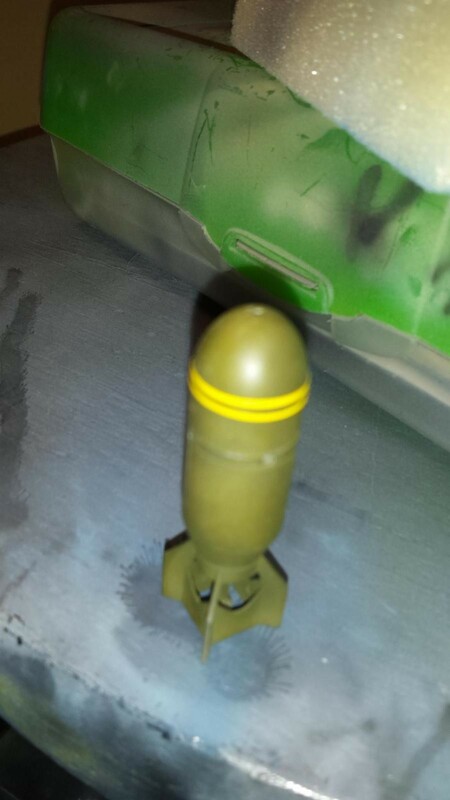 For me this is a mute point because there are so many other issues with the Trumpeter decals. 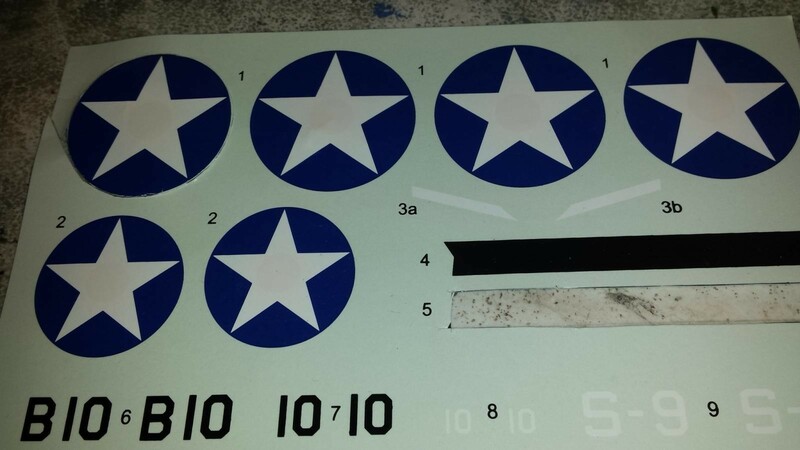 The size of the decals are still in question, but what seems apparent is that the blue color used is to bright and to light to match actual insignia, as well as, the points of the stars do not reach all the way to the edge of the blue circle. 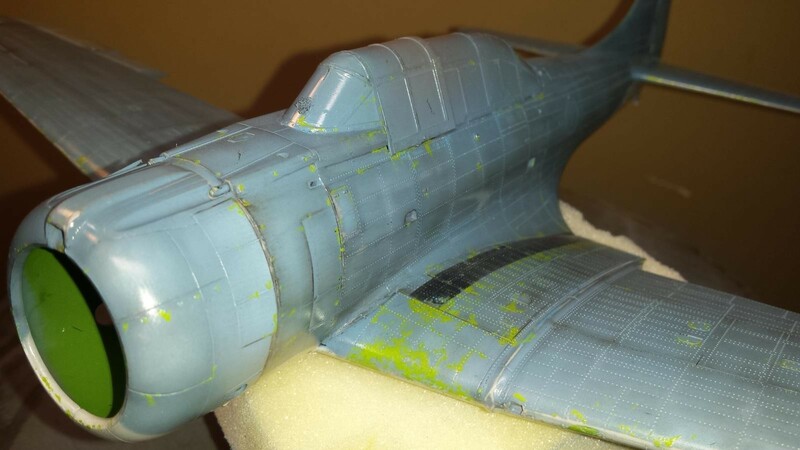 See the pictures of the actual decals attached to this article. 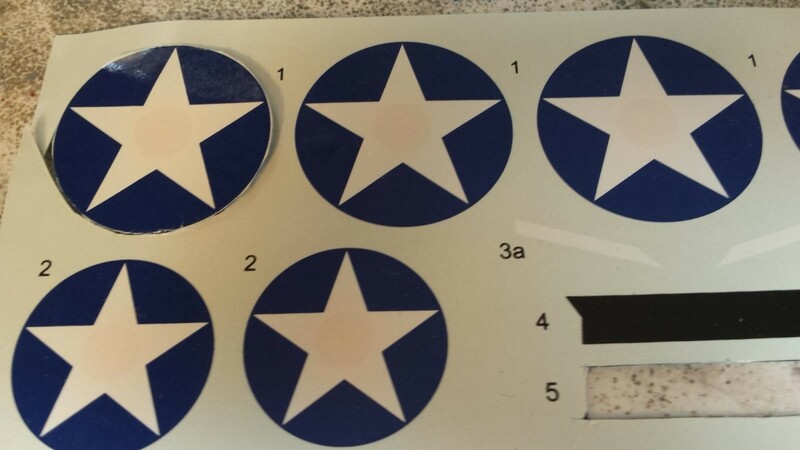 We have ordered some very nice SBD decals from Yellow-Wings to replace the National Insignia from Trumpeter. I would paint them, as many suggested, because I have the masks but this is a commissioned build and I do not want to practice this particular technique on some elses model. I will attempt this on my next personal build. Regarding progress with the model. 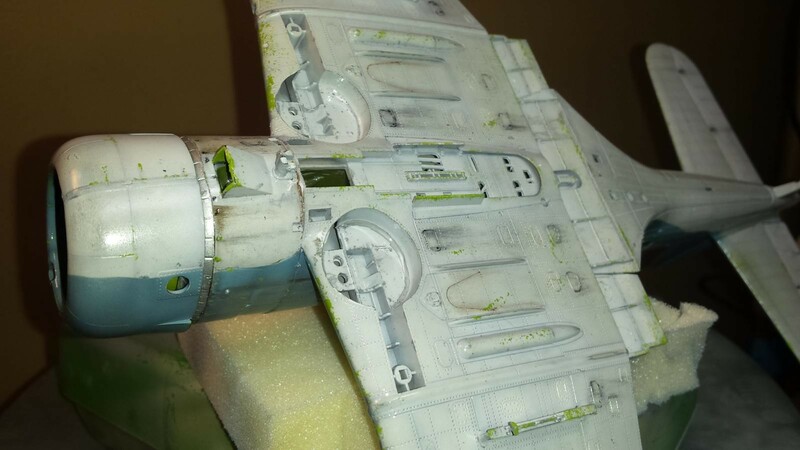 I have added a bit more weathering using oil paints applied with a fine brush, and blended with a dry wide brush and dry cotton swab. I have also used some PrimaColor pencils to add some discoloration, and scratch marks, as well as, paint chipping with silver. 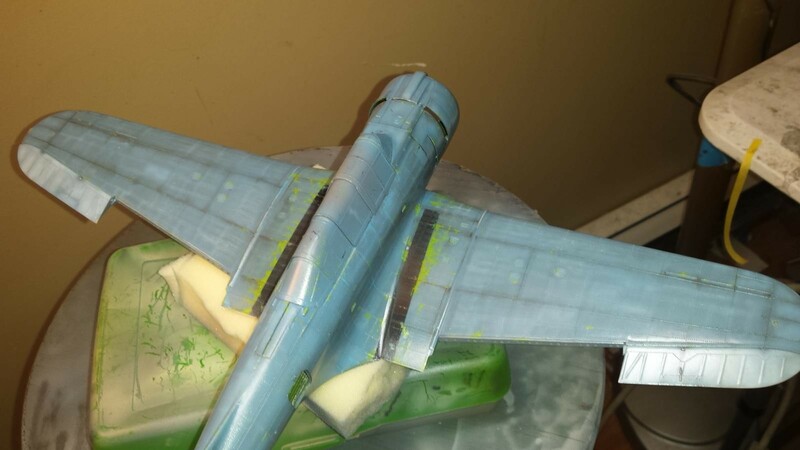 I then used a very fine sanding sponge to buff out the whole model. This blended in all the effects a little better, and removed any ridges in the added-on paint, and pencil marks. It also helped smooth out the finish in preparation for a Future Floor Wax gloss coat. I then airbrushed a very light tacky coat of Future, followed by another heavier coat. 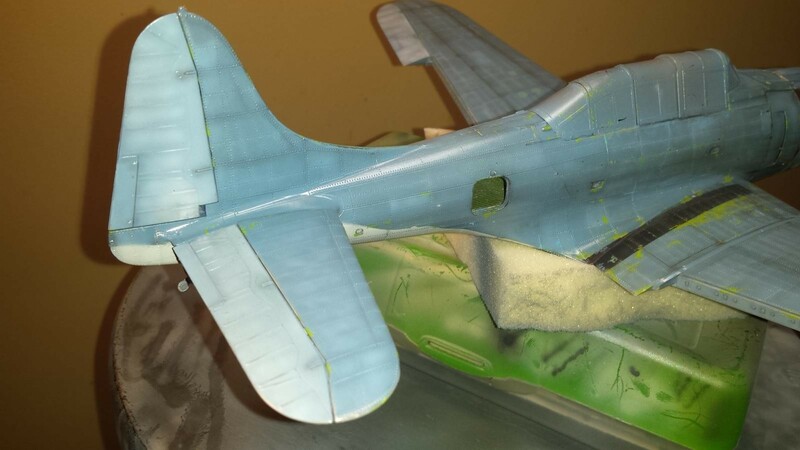 It is now drying and getting ready for decal application. The new decals were ordered today so it should be a few days before they arrive. 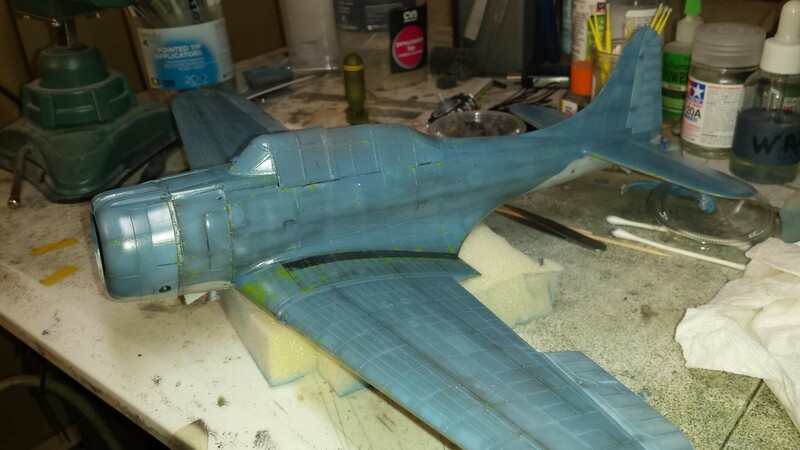 In the meantime I will complete some of the other sub-assemblies such as the main landing gear, dive flaps, and twin machine gun mount. 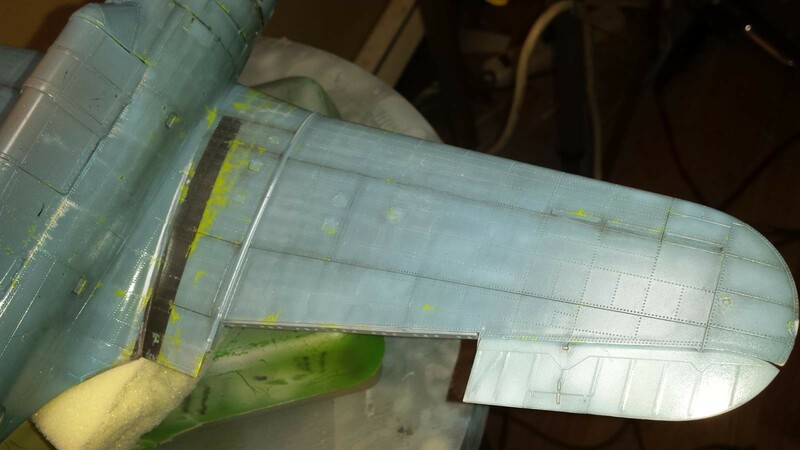 The prop is currently painted flat black with yellow tips. 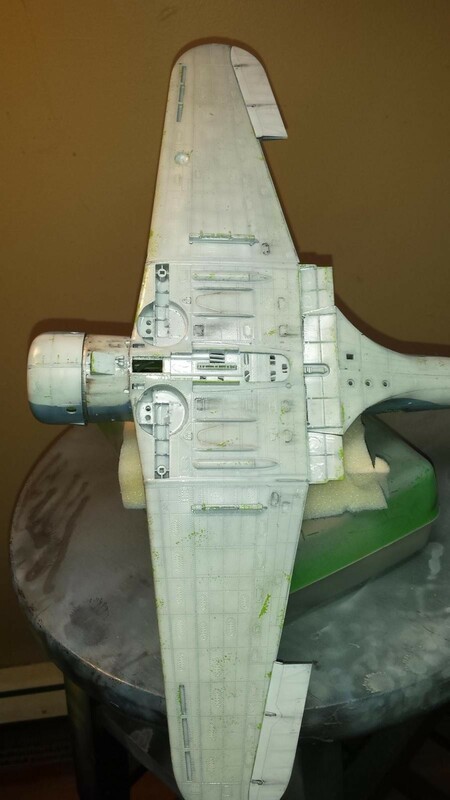 I need to paint and weather the prop hub, and spinner. Excellent progress, Paul. The tonal variations work really well on a Dauntless of this theatre and your general descriptions of your work seem very consistent with the inconsistencies in the field. If that makes any sense. Thanks for being so thorough with the detail and the photos, it’s an interesting thread on a fluid and complex theatre and subject. Great work, indeed, Paul. I’m sure you’ll resolve your dilemma satisfactorily, Paul – looking forward to the end result.